Design happens to be everywhere you go. 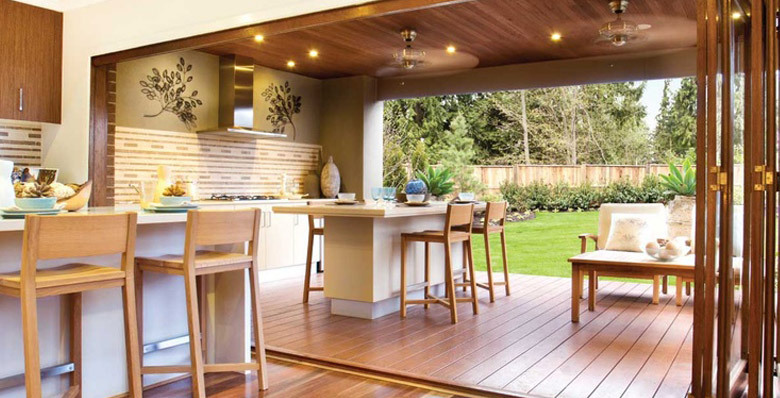 And if you’d like to find out who to know about when it comes to all things home design in South Africa, then Doors Direct have created a list of the best, just for you. We’ve hand-picked bloggers from a variety of fields, from lifestyle to DIY-focused creators, so get ready to be inspired and take a look at the winners of our best South African Home Design blog award. Founded in 2005 by home DIY enthusiast Janice Anderssen, Home-Dzine is a DIY lover's paradise. Full of handy DIY and decor tips and tricks, this blog has pretty much everything you need to up your home improvement and interior game. If you’re looking for some inspiration for the little ones, Little Interiors is loaded with inspiration to make any child’s space look great. Started by interior designer Mariëtte Sakelliou in 2011, this blog has a massive range of ideas for anything from nurseries to bedrooms, and how to keep your home child-friendly, so it’s definitely worth a scroll. If you’re looking for inspiration to liven up your living space, whether it’s getting the low-down on the latest interior design trends or a clever DIY idea, then you’ll enjoy Homeology. Founded by Germarie Bruwer, her approach is all about making your home a place where you can care for yourself from inside and out. She regularly features contributors, making it full of everything you need to make your house feel more like a home. It also features regular “makers” pieces by local designers, so it’s a fantastic way to keep up with South African decor trends. You'll definitely be saying "I want that" after spending time on this decor and lifestyle blog. This was set up by Cape Town-based freelance magazine journalist Vicki Sleet, where you can find her taking her own spin on trends, and even bringing old ones back to life. The Bargain Betty section is full of crafty DIY ideas that can spruce up your living space without breaking the bank, too. Another fabulous design, decor and lifestyle blog on our list, Fiona Rossiter’s Inspired Living blog is jam-packed with home renovation advice, DIY projects and interior inspiration. What stands out about this one is their handy mood boards, pairing colour palettes with furniture and accessory ideas, so you’ll always be ready for your next living space refresh, or a trip to Ikea. Kathryn Rossiter created Becoming You as a space for her to offer tips and inspiration, and she’s also passionate about encouraging women with her Women at Work series. When it comes to decor, she has recently gone through a renovation of her own home and shares her journey with room reveals and renovation diaries, so you can take a peek into Kathryn's home design journey for yourself. If you’re looking to add a bit of zest to your home, freelance writer Yolandi’s A Zesty Life blog will help you do just that. She’s keen on DIY projects, and you can get design inspiration from her Home Tours features, where she carefully curates tours of homes that inspire her in her own network, from friends to family. Things Dee Loves is a place where blogger and scientist Danielle showcases her love for life, crafts and prettiness (in her own words!) Some of her ventures into home design and decor include her courtyard makeover and putting her crafting skills into practice with DIY projects. Having a background in interior design and advertising, Nicola Ashe has a strong attention to detail when it comes to all things decor. After starting the blog as a part-time gig back in 2008, Nicola is now a full-time brand consultant and lifestyle blogger, sharing her takes on the world of design and decor regularly. Plenty to get you inspired. The Rabbit Haus is where writer Natasha Clark ventures into her musings, and decor happens to be one of them. Now, Natasha isn’t one to be all about trends, and instead goes for things that just feel right, which is great for anyone that isn’t too fussed about the latest decor craze of the month. 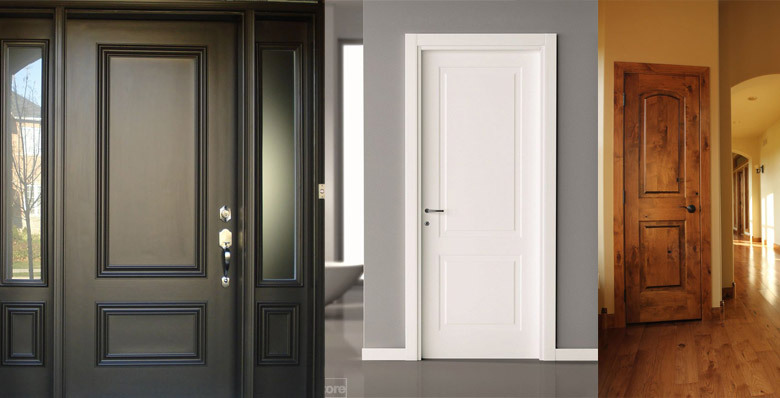 What are the Standard Door Sizes in Your Country? You might be wondering what is the width and height of an average door? 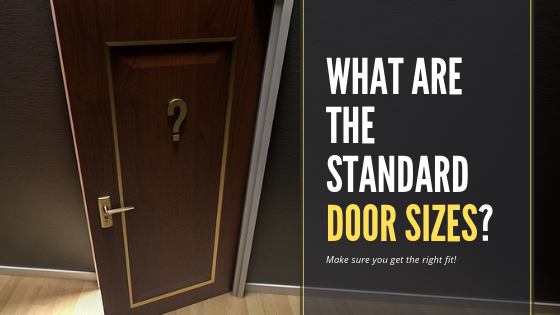 In this post, we will show you the standard (most common) size for both internal (bedroom) doors and exterior front doors. However, something to note is that standard door sizes vary depending on which country you are in. 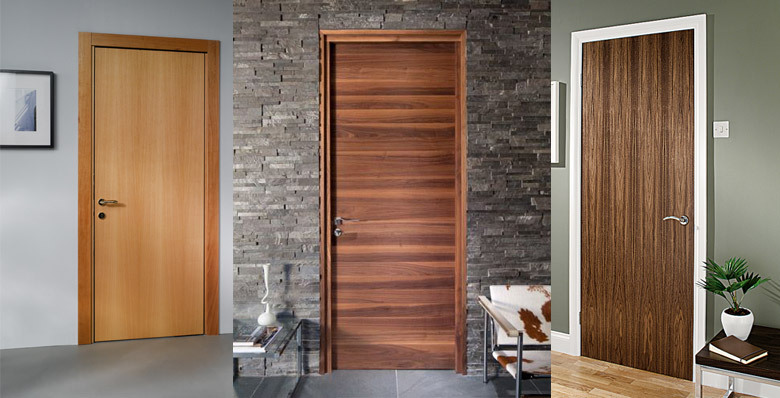 Therefore we will cover South African, American, British, Australian and Indian door sizes. 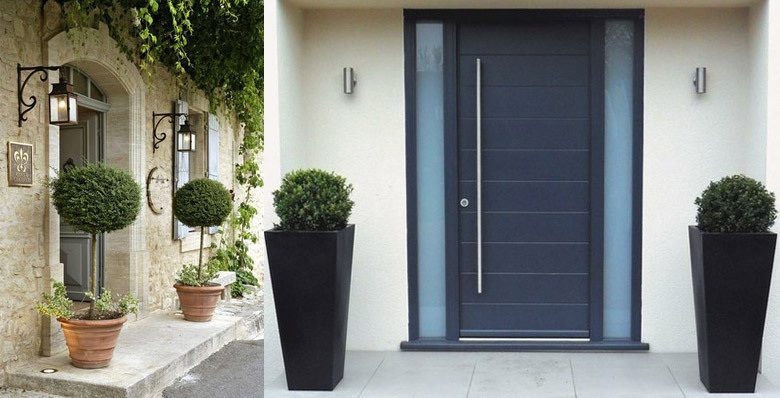 Another thing to understand about door dimensions is that although each country has a standard door size, they also have many size variations to suit your needs. The premium, bespoke option for a custom built door service is usually available as well. If you are buying a wooden door then a professional woodworker will normally carry out the installation. As part of the installation, they may adjust the size of your door for the perfect fit using a plainer. The standard door size for internal and external doors in South Africa is 813 x 2032 mm. 30" x 80" 762 x 2032 mm 2' 6" x 6' 8"
32" x 80" 813 x 2032 mm 2' 8" x 6' 8"
35" x 80" 900 x 2032 mm 2' 11" x 6' 8"
47" x 80" 1200 x 2032 mm 3' 11" x 6' 8"
The standard door size for internal and external doors in the UK is 762 x 1981mm. 36” x 84” 915 x 2143 mm 3’ 0" x 7’ 0"
The standard Interior door size in America is 762 x 2032 mm. Whereas the standard exterior door size is 910 x 2030 mm. 24" x 80" 610 x 2032 mm 2' 0" x 6' 8"
28" x 80" 711 x 2032 mm 2' 4" x 6' 8"
36" x 80" 910 x 2030 mm 2' 11" x 6' 8"
36" x 80" 914 x 2032 mm 2' 11" x 6' 8"
The standard interior door size in India is 800 x 2045 mm and the standard exterior door size is 1000 x 2045 mm. 26" x 80" 650 x 2045 mm 2' 1" x 6' 8"
31" x 80" 800 x 2045 mm 2' 7" x 6' 8"
35" x 80" 900 x 2045 mm 2' 11" x 6' 8"
39" x 80" 1000 x 2045 mm 3' 3" x 6' 8"
The standard door size in Australia is 820 x 2040 mm for both internal and external doors. 20" x 80" 520 x 2040 mm 1' 7" x 6' 8"
24" x 80" 620 x 2040 mm 2' 0" x 6' 8"
28" x 80" 720 x 2040 mm 2' 4" x 6' 8"
30" x 80" 770 x 2040 mm 2' 6" x 6' 8"
32" x 80" 820 x 2040 mm 2' 8" x 6' 8"
34" x 80" 870 x 2040 mm 2' 10" x 6' 8"
36" x 80" 920 x 2040 mm 2' 10" x 6' 8"
In South Africa the most common window types are either wood or aluminium, each has their own benefits that one needs to consider but we are firm believers that wooden windows are the superior product. Here are some of the reasons we believe meranti windows should be your first choice for renovated or newly built homes. Wooden windows offer a natural aesthetically pleasing wood grain that cannot be matched by the cold touch of aluminium. 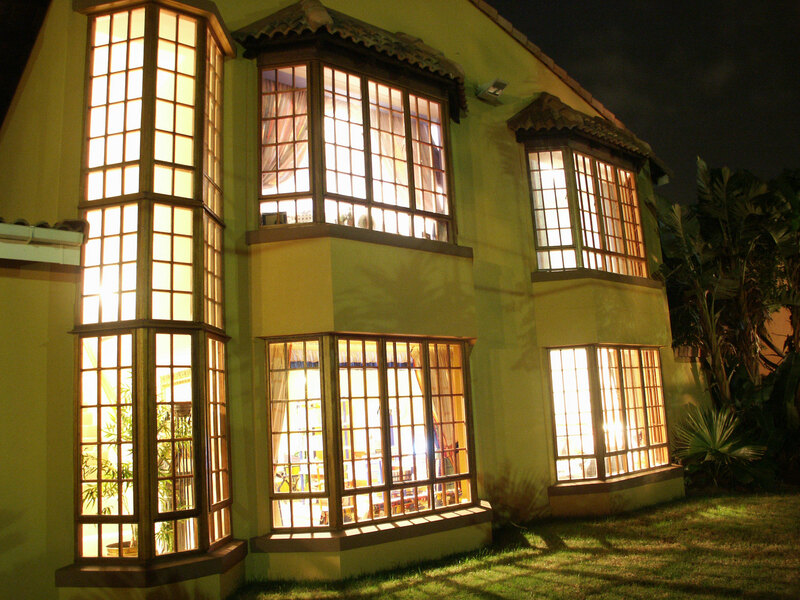 With our skilled craftsman shaping your windows into stunning designs that are unrivalled in quality and design. Wooden windows offer a large variety of windows styles to match your architectural design and price point. We offer large full pane windows to the more traditional cottage pane windows and sliding sash windows as well as many more other window types. Wooden windows have far superior insulation properties that will keep your home much warmer in the winter and cooler in the summer. This is because they allow less heat to pass through the window sash & frame then aluminium windows but also because the inside surface will be better insulated so will be much warmer if you’re sitting near the window. These greater insulation properties create high energy savings since you do not need to rely on your heaters or aircon as much. Nowhere better is this illustrated then in the Northern European countries such as Switzerland where all windows are made of wood to help insulate from the icy cold. One of the biggest complaints about wooden windows is maintenance, but since the introduction of water based sealers this is no longer an issue as they are far superior to varnish. If you treat the windows correctly with a good quality water based sealer such as Rystix you should only have to varnish or oil the windows every 4 years or so depending on the environment. As long as they are properly treated the windows should last a lifetime. Not all timber types are equal when it comes to wooden windows. Doors Direct only uses high quality kiln dried meranti timber which will last far longer than pine windows as it is a solid hardwood. Timber is a natural product that is one of the only renewable natural resources which is increasing its reserve sizes each year while aluminium on the other hand needs to be mined which strips the land of its natural resources and will not be renewed. Meranti windows have much smaller carbon foot print then steel or aluminium windows so it is much more environmentally friendly. With our patented Strongwood window technology you have an attractive security solution to traditional unsightly burglar bars that detract from the beauty of your home. Solid steel bars are encased in the solid meranti which extend the full length of the window. Click here to find out more. We often see doors which have had to be excessively trimmed to fit into a door frame. The reason for this is normally that the contractor has not taken the final floor levels into consideration when building in the door frame, and he has buried the door frame into the screed and then tiled or laid carpets on top of this. Whatever the original height of the door frame was, it is now effectively a lot smaller, because the door frame is now sunken into the floor, by sometimes as much as 75mm. The only way to now fit the door is to trim the door by this amount. This excessive trimming of the door reduces the structural integrity of the door. We recommend that when building in door frames, a 75mm nail is punched into the bottom of each of the door frame stiles. This achieves three things. You can set the door frame to the correct height. You can “plum” the door frame level by merely tapping on either side of the frame. The door frame does not absorb moisture from the concrete through the exposed end grain. Another option is to order the door frames slightly longer than the doors. Imagine how scary it would be to wake up in the middle of the night and realize an intruder has gained access to your home. Protecting against a break-in might mean investing in a professionally installed and monitored home security system, but that shouldn’t be the first step. Begin by conducting your own home security check; after you’ve checked all of your home’s exterior doors for weak spots, move on to examine its windows. Ground-floor and basement windows are more likely to be targeted than those on the second floor, and deserve the most attention. The exception is those second-floor windows that can be easily accessed by a deck or other elevated structure outside the home. Start your home security check by looking at your ground-floor windows from afar. Are they blocked by high shrubbery? Bushes give ideal cover for someone planning to break or force open a window; cut greenery back so that front windows are fully visible from the street. Make sure all windows can be opened, closed, and locked with relative ease—and then remember to keep them locked whenever you’re not around. The biggest problem that occurs with windows is when home owners exit their home and leave windows wide open—and vulnerable. In spring and fall, when daytime temperatures swing and windows are frequently opened and closed, get in the habit of locking windows as you shut them. Add blocking devices to the most easily accessed windows so they can’t be opened from outside. 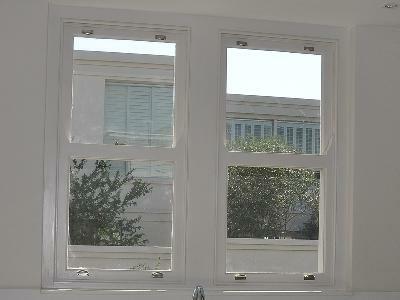 Wooden dowels placed in the track block windows that slide horizontally, and require no installation. Steel locking pins (about R80 each), inserted in small holes that must be drilled through the frames, prevent vertically-sliding windows from being opened. If you install a home security system later, the pros will install glass-break sensors on your most vulnerable windows. Garage windows are often forgotten—give them a home security check to make sure they’re securely locked. Install curtains or apply translucent security film on garage windows so that valuables aren’t readily visible. Thieves are more likely to attempt a break-in if they see items worth stealing. Our composite door frame combines all the strength and convenience of wood door frames with enhanced properties that make it moisture and insect resistant. No longer have to worry about a steel door frame that will rust and is bulky to transport nor have to worry about a door frame that will absorb moisture and rot like wood. 4Everframe is a wood plastic composite door frame manufactured from recycled wood & pvc plastic. These eco-friendly frames are also easier to store and transport as they can be clipped together on-site. If you live in High-humidity, high-moisture environments or have extreme weather exposure areas 4Everframe can help you. If you have specific environmental considerations – such as salt spray, high insect populations, or moss – then 4Everframe is right for you, because it has anti-insect, anti-fungal, and rot-resistant properties. The 4Everframe can be painted or left in its natural brown wood colour. You treat 4Everframe just like a traditional door frame, it can be cut drilled or screwed and you hang your door on it identically to a timber frame. 4Everframe is the only wood plastic composite door frame available in South Africa and is sold exclusively through Doors Direct. The future of door frames has arrived with 4Everframe. 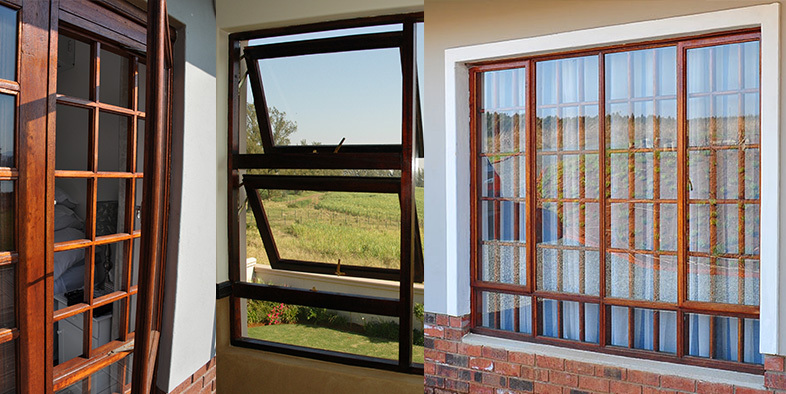 Here are some tips for installing Wooden Windows that we have learn over the last 25 years. When installing timber windows, it is of the utmost importance, that the external plaster does not encapsulate the base of the window frame, as water will get in between the wood and the plaster, due to the different expansion coefficients of timber and plaster. This trapped water will be unable to escape, because of the DPC, and will cause the timber to ultimately rot. Make sure the wooden windows are the right way round. When installing your windows, please ensure that they are not upside down or inside out. Check that the window frame is installed perfectly level and square, and make sure that the lintels have been propped up for at least two weeks, prior to the frame being installed. Remember that there should be a gap of between 5 & 10 mm between the top of the lintel and the top of the window frame. The lintel must not be resting on the frame. When glazing meranti windows, you must ensure that before you fix the glazing beads back into wooden windows that you have sealed the glazing beads all round, taking particular care to thoroughly seal the end grain where the glazing bead has been mitered. Don’t forget to also seal the rebate on the window or door before fixing the glass. To prevent water leaking into the house, you must always glaze up against either silicone or putty. 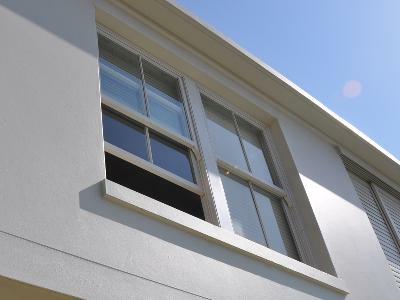 When visiting construction sites, we often come across windows which have been forced closed, not withstanding the fact that there is concrete or plaster in the rebate of the frame or sash. This has the effect of causing the sashes to warp and also causes the handles or stays to loosen. Please ensure that before attempting to close your windows, the inside of the frame and sash are free of any debris which could hinder the smooth operation of the window. Sliding Sash Windows have become increasingly popular over the last couple of years. We find that an increasing number of customers are painting their wooden windows, and unless this is done correctly, all sorts of problems can occur. Doors Direct Sliding Sash windows are designed in such a way, that the sashes can be easily removed for painting. Doors Direct sells three different styles of sliding sash windows, the full pane sliding sash windows, Victorian sliding sash windows and Cape Dutch Sliding sash window. To find out the price of our sliding sash windows please click here. 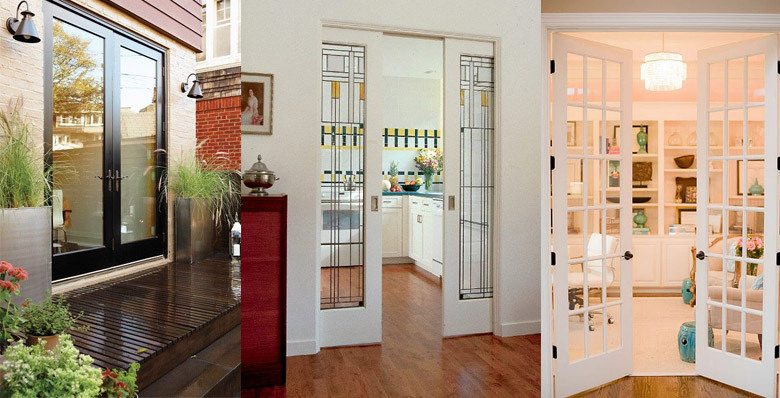 Do you know the right style of door for your home? Choosing a new door is quite simple if you know the options available to you. Match the style to your type of home. 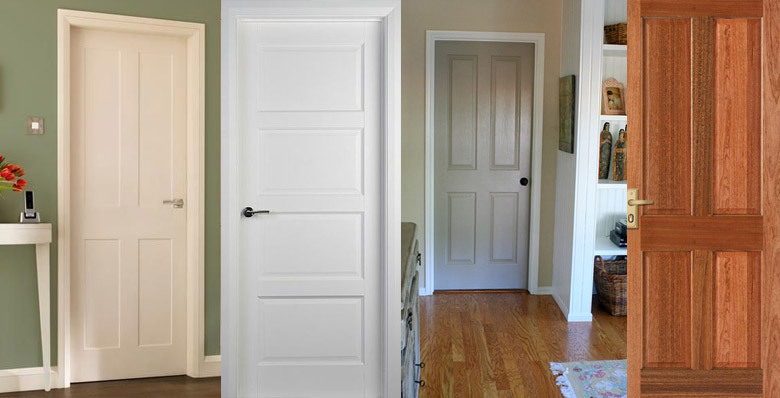 Flush Doors are smooth on both sides, and generally made of plywood or MDF and are available in hollow or solid core. They are the least expensive and are well suited for modern architecture. Most often these are used internally. As you will see in the pictures there are variations on two-panel designs. 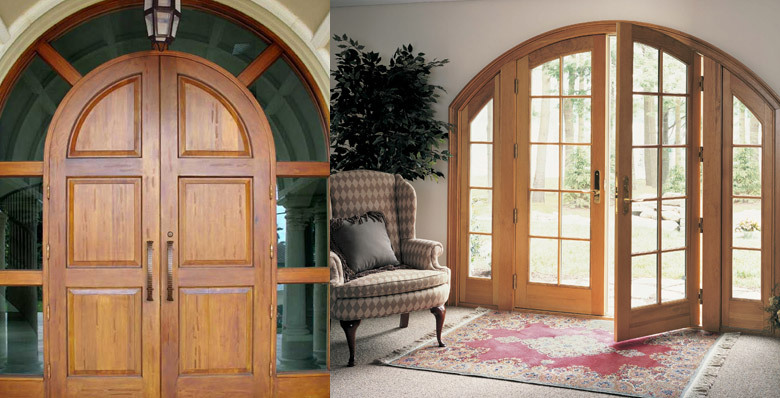 By adding an arched top panel the door becomes great for Cape Dutch or French country style homes. Four-panel doors are another variation in traditional architecture. You can find these with hollow cores and in solid wood. One of the most common door styles is the six-panel configuration. You should be able to find this door with a less-expensive hollow core as well as in solid wood. More panels are suited to more modern house designs. There are options available in hollow core and solid wood. A classic pattern of square panels. Once you move away from standard size and shape doors you will end up spending more. This door arched door will require an arched jamb. The arched look is ideal for Mediterranean style homes, especially with Spanish influences. 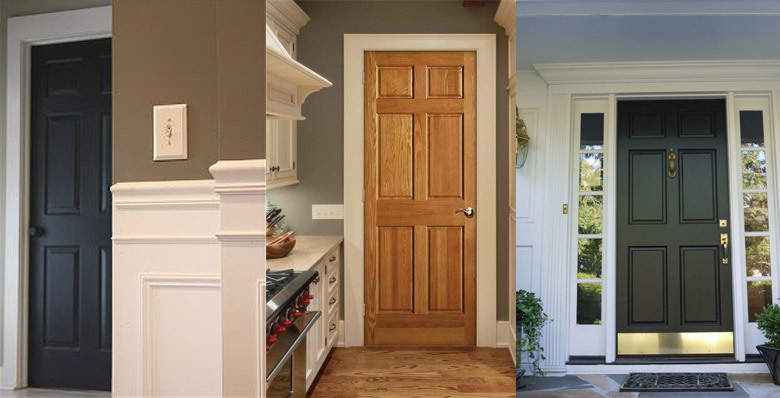 Doors Direct is able to custom craft doors to your specifications. French doors can also be used internally in areas meant to put a room of your home on display, like music rooms, home offices, living rooms, Dining rooms, etc. If you are going all-out on character and have an older style Victorian house, stained glass might be the way to go. 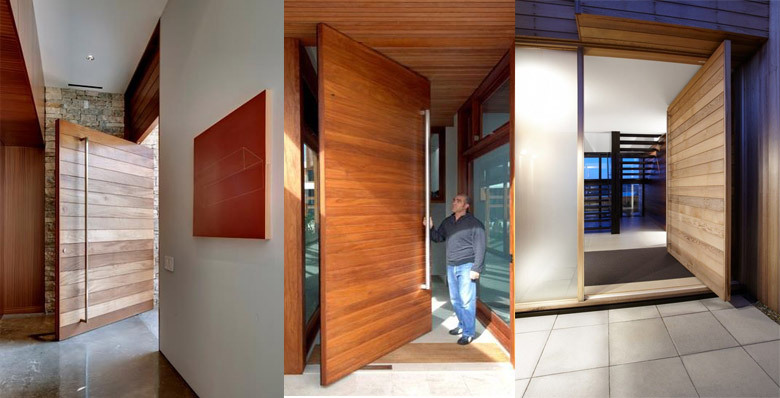 Oversized and dramatic, pivot doors are available in engineered wood and in solid wood. 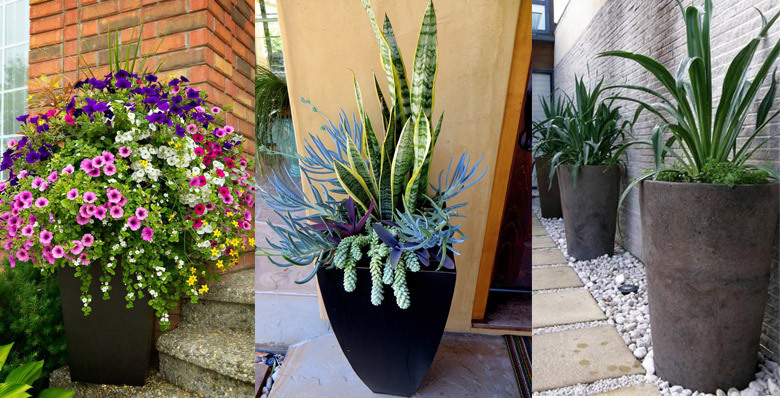 Perfect for a main entrance in a modern home. Sliding / folding doors are stackable folding doors of multiple panels that slide and stack neatly to one or two sides. This allows for a seamless transition between indoors and outside entertainment areas free of any barrier or obstruction. 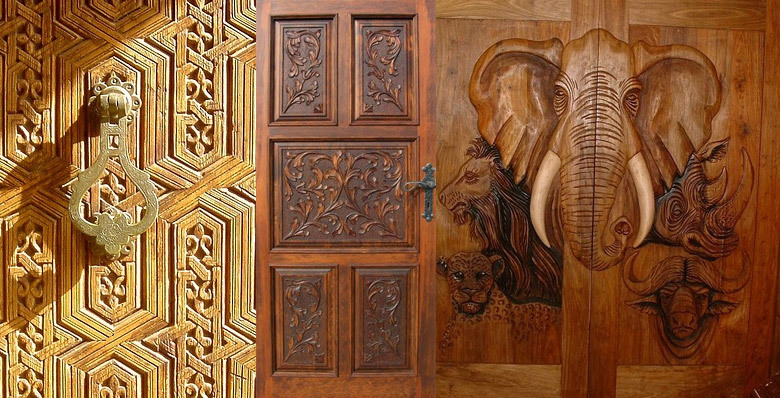 When you want a unique entrance why not combine your love of handcraft and natural materials and opt for a carved door. It’s African and unique and locally made. 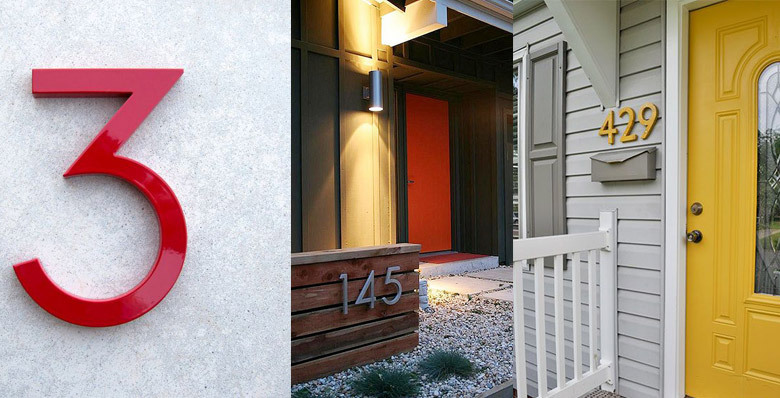 Think house numbers, the entry door lock, and light fittings overhead light. These elements can all add style and interest. Most people inherit them from the previous owner and forget about them or add elements as needed. By thinking of these as a set that function collectively you can upgrade your home. Brass elements on a traditional home, brushed nickel on a more contemporary home. Replace that rusty light fitting with something new. We often forget to clean off grimy marks around the door handle or to polish the metal fixtures. If you are feeling more adventurous paint the door a new colour or if the doors lacks personality replace the door with something that fits your style better. Doors Direct allows you to order your new entrance door online and it will be delivered directly to your home. 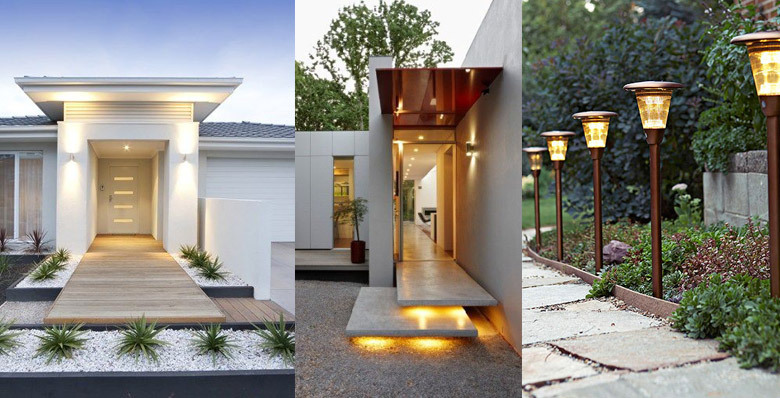 Low voltage or solar landscape lighting provides security and makes an impact to your home’s curb appeal. Accent trees or illuminate the path. 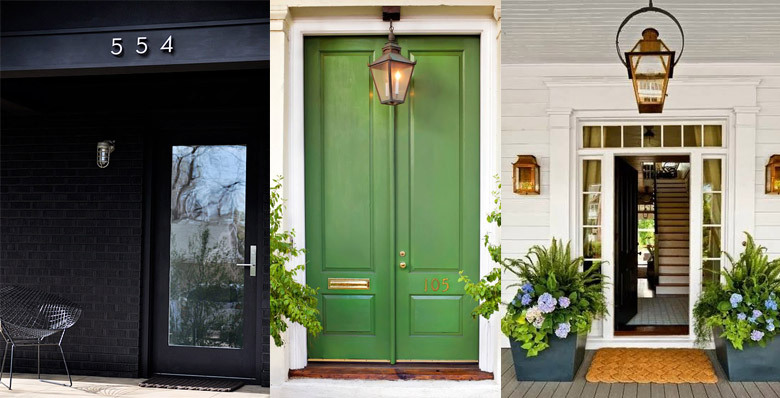 Next week we are going to talk about how to match the style of door to your style of home.